If you’re a challenge-driven, motivated, hard-working person who would like to work for KLK Construction, we’d like you to apply! If you’re a challenge-driven, motivated, hard-working person who would like to work for KLK Construction, we’d like to talk to you! *Full benefits, including major medical health insurance, 401K, direct deposit, life insurance, and paid holidays to all eligible employees. *Dedication to customer service and satisfaction. 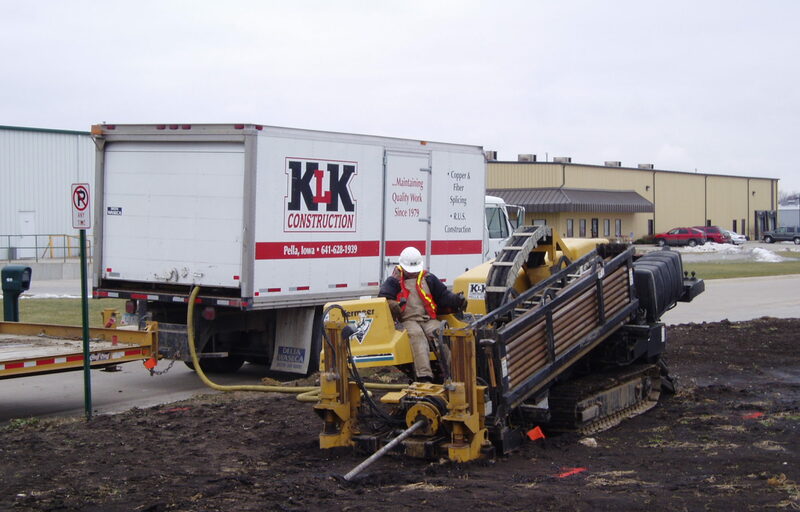 Established in 1979 in Pella, Iowa, KLK Construction is a leader in cable placement within the utility construction market. As a growing company, we are recognized in the industry as a firm that provides its customers with excellent service. KLK Construction bids work in a seven-state area with a heavy concentration of work in Iowa. KLK attracts and retains employees who are dedicated to quality performance. KLK provides an environment that encourages teamwork, fosters creativity, and offers individual recognition and growth. KLK encourages employees to participate in and support local activities in the communities we serve. We are a company that can be counted on to do a quality job…on time and in a safe environment. We aren’t happy until you, the customer, are happy. *Promote safety, integrity, cooperation, and dedication to our work within our organization and with our customers through the jobs we perform. This mission is daily accomplished by our highly motivated team of employees dedicated to satisfying you, the customer.